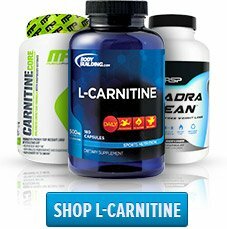 Effects Of L-Carnitine-L-Tartrate On Muscle Recovery & Growth! 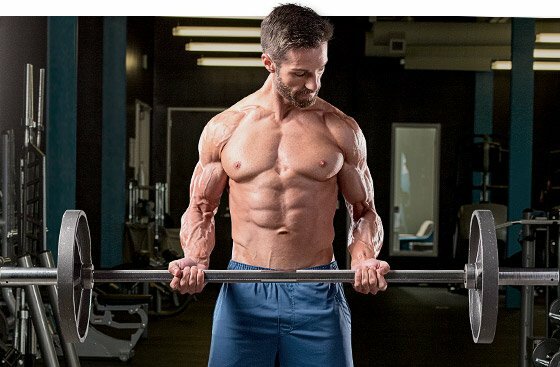 Get the latest science behind the importance of L-Carnitine-L-Tartrate. Here are some results from those studies and what they have concluded about LCLT. Will they really improve muscle recovery and growth efforts? Time will tell. Type-IIb fibers are those white fibers, also referred to as fast twitch B or fatigable fibers, that are most beneficial in sports such as sprinting. These fibers have low myoglobin content, few-mitochondria, and few blood capillaries, but contain a large amount of glycogen - these muscles primary source for energy during short, intense bursts in activity. "3-weeks supplementation with LCLT has been shown to reduce muscle damage produced by an acute bout of high-intensity resistance exercise." Such augmentation correlated with elevated serum testosterone levels and corresponded to significant increases in myofibrillar protein.3 Testosterone is the primary hormone that interacts with skeletal muscle tissue, and when elevated leads to increased muscle growth. Such a negative effect, however, seems to be somewhat mitigated by post-RE feeding, which has been shown to increase muscle AR content, resulting in increased testosterone tissue uptake and enhanced luteinizing hormone (LH) - which also has been shown to elevate testosterone levels - release via feedback mechanisms.1 These observations provide a possible mechanism for increased protein synthesis following post-RE food intake. 3-weeks supplementation with LCLT (equivalent to 2 g elemental carnitine/day) has been shown to reduce muscle damage produced by an acute bout of high-intensity RE in two cross-over, placebo-controlled trials.9,10 - the "gold standard" so to speak in terms of clinical trials. According to the investigators, less muscle damage may have resulted in more hormonal receptors available for binding interactions with anabolic hormones,9 a circumstance that may explain the reduced progression of muscle damage (measured by MRI) in the recovery days following RE.9,10 With more hormonal receptors available for binding interactions with anabolic hormones, muscle growth potential is also increased. Based on these considerations, and on the fact that post-RE feeding stimulates increases in AR content (see above),1 it is possible that LCLT and feeding may independently and synergistically enhance the hormonal environment following RE and promote anabolism. Feeding after RE increased AR content, which may result in increased testosterone uptake, and thus enhanced luteinizing hormone secretion via feedback mechanisms. L-carnitine supplementation can upregulate AR content, which may promote increased testosterone uptake and recovery from RE. In layman&apos;s terms, such increases in anabolic hormones and with recovery being enhanced you can expect more muscle growth. Kraemer, W.J., et al. Androgenic Responses to resistance exercise: Effects of feeding and L-Carnitine. Med Sci Sports Exerc 38(7): 1288-1296, 2006. Inoue, K., et al. Androgen receptor antagonist suppresses exercise-induced hypertrophy of skeletal muscle. Eur J Appl Physiol Occup Physiol 69(1): 88-91, 1994. Willoughby, D.S., and L. Taylor. Effects of sequential bouts of resistance exercise on androgen receptor expression. Med Sci Sports Exerc 36(9):1499-1506, 2004. Deschenes, M.R., et al. Endurance and resistance exercise induce muscle fiber type specific responses in androgen binding capacity. J Steroid Biochem Mol Biol 50(3-4): 175-179, 1994. Ratamess, N.A., et al. Androgen receptor content following heavy resistance exercise in men. J Steroid Biochem Mol Biol 93(1): 35-42, 2005. Bamman, M.M., et al. Mechanical load increases muscle IGF-I and androgen receptor mRNA concentrations in humans. Am J Physiol Endocrinol Metab 280(3): E383-390, 2001. Tchaikovsky, V.S., et al. The effect of exercises on the content and reception of the steroid hormones in rat skeletal muscles. J Steroid Biochem 24(1): 251-253, 1986. Lee, W.J., et al. Regulation of androgen receptor expression at the onset of functional overload in rat plantaris muscle. Am J Physiol Regul Integr Comp Physiol 285(5): R1076-R1085, 2003. Kraemer, W.J., et al. The Effects of L-Carnitine L-Tartrate supplementation on hormonal responses to resistance exercise and recovery. J Strength Cond Res 17(3): 455-462, 2003. Volek, J.S., et al. L-Carnitine L-Tartrate supplementation favorably affects markers of recovery from exercise stress. Am J Physiol Endocrinol Metab 282(2): E474-E482, 2002. Part fat-burner and part performance supplement, L-carnitine has a long history and plenty of fans. Look at the science and decide if it&apos;s right for you! Ask The Supplement Guru: Is Carnitine Safe? Its backers say carnitine offers powerful health and performance benefits. But a new study seemed to link it to heart disease. I&apos;m here to separate the truth from the hype. 5 NASTY FOOD ADDITIVES YOU MUST AVOID! Food is fuel, right? So why on Earth would you buy watered down, manipulated, processed, and chemically-generated fuel for your body? Let go of additive addiction. Live clean!